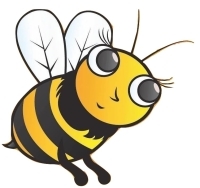 Bee-atrice is a prideful bumblebee who refuses to identify as a worker bee. She never takes her work seriously and tries to show the rest of the hive that she is the grandest of them all. However, as Bee-atrice begins to understand the true meaning of responsibility and teamwork, her heart starts to change. Discover, alongside Bee-atrice, why humility triumphs over pride and learn about the life cycle of bumblebees.